Fewer posts the last two months merely reinforce that Life Happens even when genealogy is more or less all-consuming. Mayan misinterpretations aside, this is likely to be the last post of year while I resign myself to approaching apocalypse reinvigorating the creative juices ... as in stir, blend, and pour. Merriwoman cave has a permanent string of fairy lights at the window. Just the thing to balance the dark side. What more does this festive season demand of me? Well, I could break into a carol from time to time. There’s gratitude for yesteryears at boarding school whereby a thousand morning assemblies automatically committed to memory every hymn in the Anglican Book of Praise including Christmas carols (alto and descant harmony encouraged). Not a terribly common feat, to be sure ... [note for the obituary, to be sure]. Thus the unpredictable and overpowering urge to belt out “Jerusalem” at odd times. 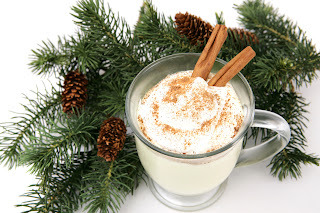 Or I could consider jazzing up The Annual Letter for the benighted who don’t read my blogs. Or I could just do the Camelogue® as I keep threatening. Then again, why am I not doing more to decry the endless urban perversion of glass towers, petty politics, general corruption, global warming, and those winter hats that resemble a stoned baby panda monkey wolf parked on the heads of mutant teenagers? Maybe because we occasionally lose heart as heritage loss issues in this country are being ignored. In my current lax state of post-travel euphoria, the most attractive notion involves a hogshead of President’s Choice caramel salé ice cream and hibernating till spring or Timewave Zero, whichever comes first. However. Nonetheless, on the other hand, and notwithstanding, for the time being may I wish you interesting but harmonious family times in whatever manner you celebrate. Time to stock up the fridge. 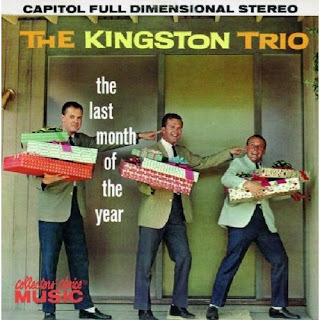 And perhaps re-visit the best ever folk carols from the Kingston Trio. Probably the second in a minor cranky-rant series. The first one has relevance (discreetly linked below). The rash of "quickie guides" for every genealogical subject on the planet shows no sign of abating. Soon there will be a quickie guide for choosing your personally-applicable quickie guides. The popularity of Elizabeth Shown Mill's cogent, analytic QuickSheets has spawned a growing B-list of would-be success items. No topic will be too obscure to escape glossy encapsulation. Perhaps serving as reminders for serious family historians, you say? More likely they cater to the formidable ADD penchant for sound bytes and instant gratification, including its death grip on all things Internet. The concept of essential learning in traditional texts and courses--methodology, evidence analysis, demonstrated arguments--flicks away as junior genealogists greet the arrival of the shiny, condensed, time-saving items. And they take way less space on the library shelf. If personal libraries have a future. Short cuts lead to poor research and hasty presentation, as experienced educators have been known to lament as the wobbly TWATAFT unfolds. Chalk it up to the general ennui of the Shopping Season, or congenital sarcasm; at the risk of thorough damnation here's my take: The dollar store has less expensive laminated place mats. Express your outrage at me here. 8 December 1871 Jessie Isabella McFadyen was born in Provincetown, Massachusetts, the daughter of John McFadyen and Isabella Campbell; she was their second child and first daughter. Her parents were Cape Breton natives who sailed to "the Boston states" as an interim step toward their final destination: the Canadian prairies. Her father worked in Provincetown for a few years to finance the remainder of the trip. And indeed young Jessie Isabella (known as Belle) and her brother Hector would find themselves in Oakbank, Manitoba, three years later. Belle later married William Charles Dougall on her father's farm in 1894. She was my grandmother. 24 December 1814 On Christmas Eve, Donald McFadyen, a native of Coll, Scotland, was discharged from the 2nd Battalion, 91st Argyllshire Regiment of Foot, in southern England. Donald would have had a long journey to his island home in the Inner Hebrides where he spent another thirteen years, eking out a scant living for his family from the land. It is still not clear to me whether he chose to leave for Nova Scotia or was forced to go in 1828. His battalion was disbanded the following year as the Peninsular War ended. Not much is known about the old second battalion, even by current regimental historians. The Argyllshire and Sutherland Highlanders Museum is situated in Stirling Castle. 26 December 1914 Catherine Fraser Dougall died on this date in Winnipeg, Manitoba, three days shy of her 81st birthday. She was the mother-in-law of Belle, above. Catherine became the wife of Scottish-born Peter Dougall, outliving her husband only by six months. Both are buried in Elmwood Cemetery, Winnipeg. Catherine was my great-grandmother. 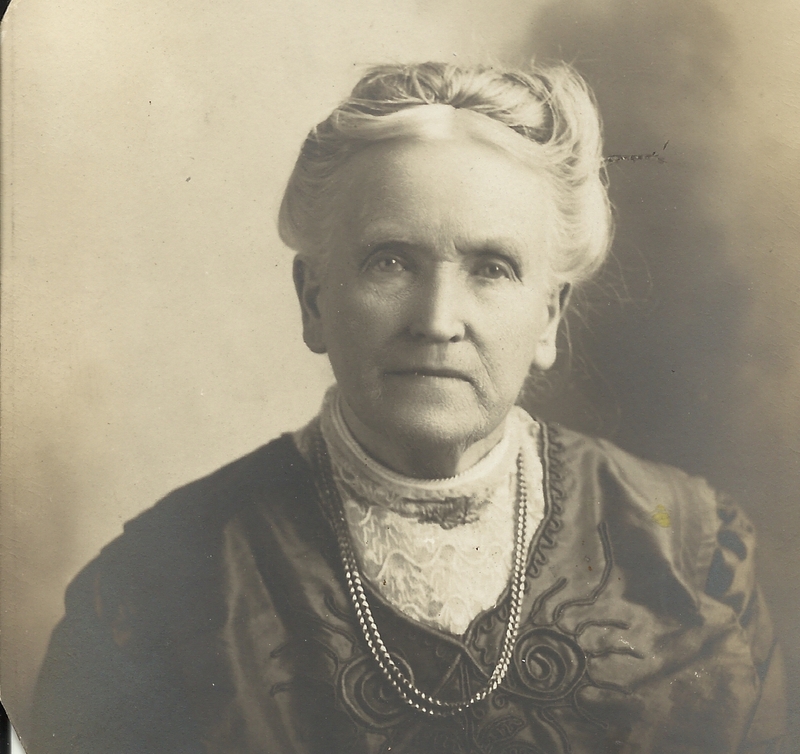 29 December 1833 Catherine Fraser (as above) was born in St Andrews, Quebec, the daughter of John Fraser from Killin, Perthshire, Scotland, and his wife Nancy Fraser of Inverness-shire, Scotland, lineage. Catherine's marriage to Peter Dougall incurred residential moves to Vankleek Hill and Renfrew, Ontario, then finally Winnipeg. She became the mother of nine children who, as adults, scattered between Renfrew and Winnipeg to California, Minnesota, and New York.